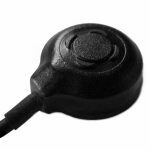 The Airbag-C is a new type of contact microphone. 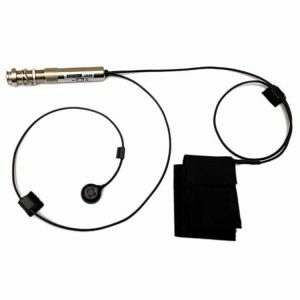 It’s the sound of a microphone, natural and faithful, with the feedback resistance of a pickup. 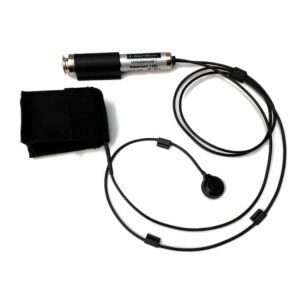 You can easily use it in an amp, apply effects and loops… A revolution in the amplification of many instruments on stage ! An ISCHELL innovation. 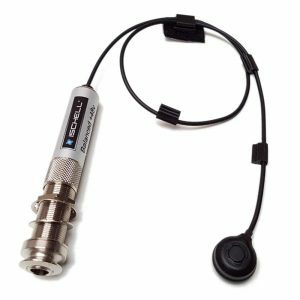 The AirCapt is a miniature microphone designed to be placed closer to the sound source. More gain and less feedback. 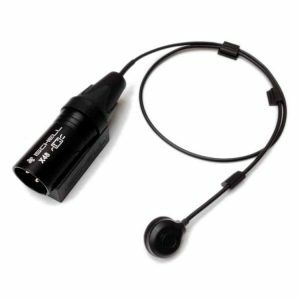 Particularly suitable for acoustic stage, it very naturally and faithfully reproduces the sound of your instrument and allows comfortable levels on stage without microphone stand..
Great mic for gypsy guitar. Easy to pose for me. I took the option 9 volts battery and I must say that the sound is very good. It is a real pleasure to listen to your instrument without being distorted. 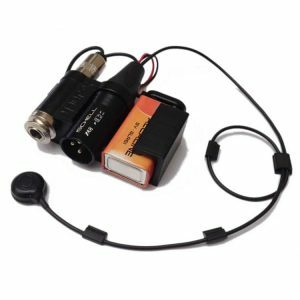 In addition, depending on whether your guitar lacks bass or not you have a 3-position selector in the jack plug that can add if necessary. I will buy another one without hesitation. Very good value for money . Very good microphone. Nice sound, powerful and faithful. Very good advice for installation. Impeccable delivery. Micro installed on a kora, in the calabash, under the bridge, as advised. Bass, midrange and treble are very present and very pretty. I hesitated for a long time I admit it … I think I will enjoy it for a long time. Lacourt – 15 mars 2018 – Je joue de la mandole dans un groupe trad breton, à côté d’un accordéoniste et d’un talabardeur (joueur de bombarde), autant dire qu’il y a du volume. Il me fallait donc un système d’amplification qui restitue le plus fidèlement le son acoustique de mon instrument, sans repiquer le son environnant. Le J48C est parfait pour cela. J’ai été agréablement surpris par la qualité du son restitué, brillance et profondeur du son naturel de la mandole. 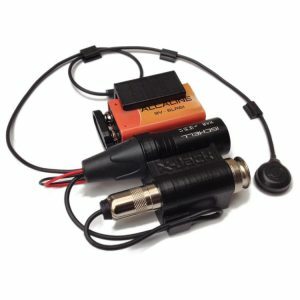 Un grand merci au responsable de la société Ischell pour le temps passé à trouver le meilleur endroit pour placer le micro, en toute discrétion sous la table d’harmonie. Serg – 09/01/2018 I bought an X-Jack system for my double bass about 6 months ago. It’s a very organic sounding mic! 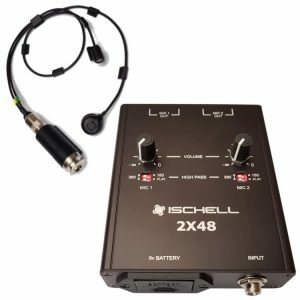 For loud situations I have to rely on my piezo pickup mostly (but I often send both signals to sound engineer, ’cause the mic gives ‘air’ to the sound, and he blends them) but for medium volume gigs I love to use the Ischell. I even compared it to one famous branded hi-end mic in a studio. We vere all surprised: they sounded pretty much identical, the difference in sound was really slight! 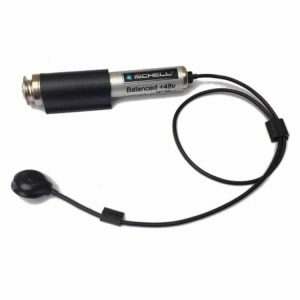 So I highly recommend the Ischell mic! P.s. The instructions provided helped a lot! Sometimes, with different basses it might take 30-40 minutes to find the best place for intallation. 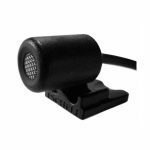 Moving the mic slightly (3-5 mm) to one or the other side may produce great effect on the sound! It’s like an equalizer. Susanne Globisch – 23/08/2017 I just got the X-Jack and installed it in my Celtic Harp. Installation was easy, I found the right spot in the harp rightaway (in the middle between the strings and the side of the harp works best with my gut strung Salvi Egan). Plugged it in my amp (Acus Cremona) – and WOW, what a sound!!! Warm, strong, and precisely defined. Ideal to playing harp via a Looper! Thanks for this great product and your excellent customer service!!! Giovanni Weiss 15/08/2017 X48 + CPJ My name is Giovanni Weiss. I would like to briefly tell you my meeting with Ischell. Hervé Calvayrac 06/08/2017 X-Jack J’amplifie ma contrebasse ¾ avec un micro ISCHELL X-Jack. Le résultat est au-delà de toute espérance (en association avec un ampli Schertler jam 200). Le son acoustique est vraiment la, pas de déformation, chaleur du son de ma contre et précision sont au rendez- vous . La pose est délicate et m’a demandé pas mal de temps, il faut être précis et patient, mais l’aide d’Ischell a été rapide et efficace, cela vaut vraiment la peine de se donner du temps pour l’installation, car après ce n’est que du bonheur, le résultat est époustouflant. Je remercie au passage Ischell pour la gentillesse et le grand professionnalisme à mon égard. Hervé Porta Delsol 02/08/2017 inside J48C9 Sur mon ampli ACUS one Fourstring 5, le son original de ma guitare Martin OM 28 vintage se trouve pleinement restitué grâce au système Ischell Inside J48C9. Je recommande vivement ce produit, dont le rapport qualité-prix me parait amplement justifié. De plus, l’accueil et les conseils aident à réaliser un bon choix.